We were luck enough to demo our game to core gamers and developers at Betacon, The response was incredible and we come out of the expereince with great feedback, new directions and a new sense of purpose! We really didn't know what to expect going into Betacon. This was our chance to see our game in action, on the floor with real customers. We are happy to announce that things went about as good as they could have. Our game is fast-paced and we have engineered it so as to not make people nauseous, but you can't be sure until you get it out there. Everything worked as expected. Nobody had any real uneasiness and everyone liked the game. 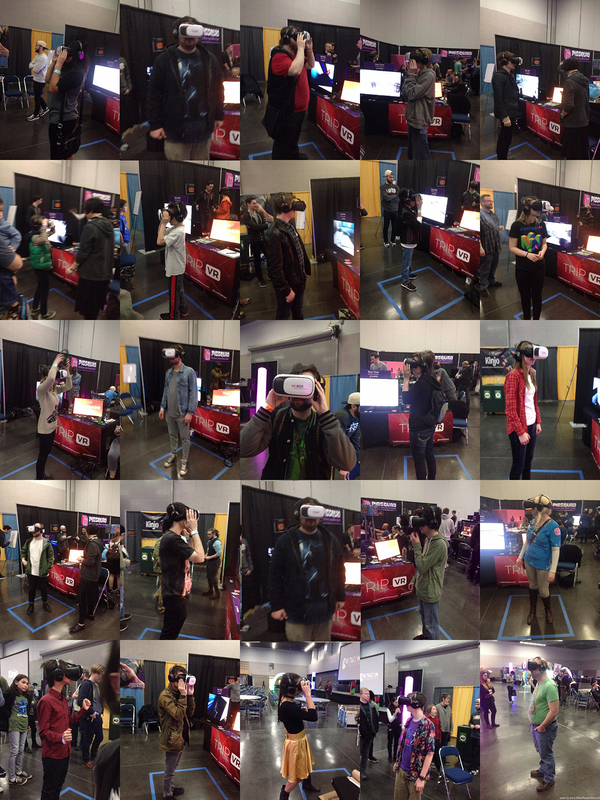 A few people loved it, with one attendee stating that it was the best VR experience that they had ever done. That is saying a lot because there were some great games here. A few of our personal favorites was Crescent Loom by Wickworks. This game allowed you to program a creatures brain to get it navigating an environment. Shipping simulator, Stop Them, Ray's the Dead, the list goes on. That is what is amazing about a con like this. Everyone has this crazy notion in their head, and indie gaming is where you get to see it come to life. It really is a window into a persons soul. We are planning on attending Pax West, but this small con in Portland will always be special to us. Thanks to the good folks @BetaConGameExpo and @PIGSquad and allowing us the opportunity to showcase our game!